This part replaces the larger bush in extruded bracket OE numbers: 8200500928 and 8200777542 to suit 1.4, 1.6 and 2.0L petrol engines and also 1.5L diesel engines. For vehicles with a cast bracket use PFF60-524 or a rubberized bracket use either PFF60-820 or PFF60-920. PFF60-526 is designed to allow a controlled amount of engine movement through voids in the material. 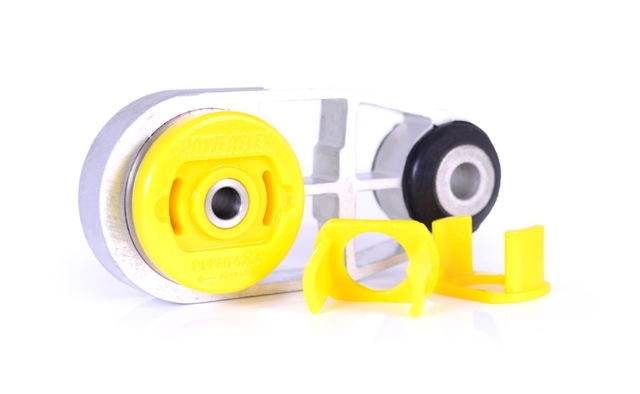 The kit includes polyurethane inserts that can be fitted to further reduce engine movement, perfect for track days or vehicles running increased power.